6th in our Series is the campus from the National Capital – FMS Delhi. As always FMS Delhi reports a terrific placement season and gives more reasons to aspirants to choose FMS over many others in the country. Imagine an investment of less than Rs. 50,000 in 2 years for an average salary of Rs.16.34 lacs. Not many business schools in the world can give that kind of ROI. It is extraordinary. Another aspect to note is the line up of companies in the FMCG Marketing domain. It is quite an enviable list. 2) The list of companies below includes those who have give out Pre-Placement Offers and some of them may not have visited the campus for Finals. We would like to thank the placement committee of FMS Delhi for providing information in the InsideIIM.com format once again after the Summer Placements. We believe it will be of immense help to readers ,aspirants and recruiters. This is the sixth in a series of reports that InsideIIM.com will bring to you. We are committed in bringing you a complete picture. We will also ensure that no irresponsible reporting is done on this website. Attempt will be made to verify the data with the institution before any publishing is done. However, lack of response from the institution will not prevent us from providing insight to our readers. We must also put a disclaimer that despite our best efforts it is not always necessary that the data given to us is 100 % accurate. Insights at InsideIIM – Cut the clutter with sharper insights from better data. We are the team behind your favourite platform. Goldman did visit in the finals…however, due to some issues(natural of all placement processes), did not hire[Source is an FMS student interning with me]. What I appreciate is the honesty shown in this report and the fact that FMS has skipped it in it's report while many campuses would have included it. An excellent performance, congrats FMS! It is unlikely any report on InsideIIM will have companies which have not made any offers. We try as far as possible to validate data and one of the pre-requisites is to ensure no company which did not offer a role gets reported. I appreciate Inside IIm for giving us the complete detail without divulging into intricacies of such sensitive issues. Brilliant format and excellent content! Can anyone explain the difference between Deloitte India and Deloitte S&O in terms of work profile? In India, Deloitte has two wings which offer consultancy, Deloitte India and Deloitte US-India. In Consulting function of Deloitte India, there are five service lines. One of them is SnO (Strategy and Operation). I think, this has been referred as Deloite S&O here. This offers management consultancy. I don't know much about SnO wing of Deloitte US-India. Deloitte S&O is essentially a Consulting practise which is outsourced to India. Majority of the clients are based in the US and consultants sitting in Hyderabad or Gurgaon assist the teams on site in the US. Most S&O guys do generally get a chance to go on site at least once. IMHO – not a great job. People are free to disagree. Someone please help me. I'm terribly confused between IIM I and FMS (Waitlisted). I know ROI is better at FMS but what about long term prospects because of brand IIM. Also, seniors from my college talk about amazing campus life at Planet-I. But then FMS is in Delhi! Ofcourse 240 batch vs. 450 batch FMS is a clear winner but placements is not the only thing for me. Also, I want to go on exchange. IIM I has 90 exchange seats. These are the parameters so far.. Anyone with any views? Any other parameter I should look at? Wait for the IIMI placement report and then decide. 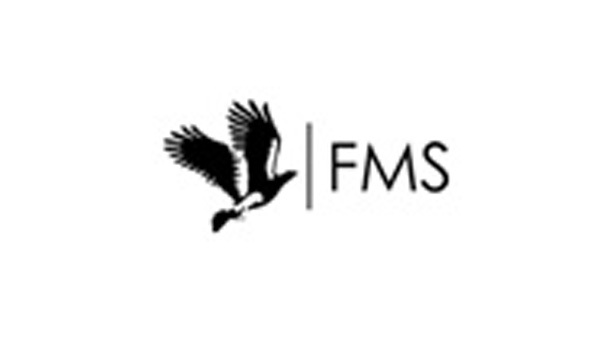 My personal opinion is that if you are interested in marketing as a career join FMS. Else IIMI will be a better choice. Given the uncertainty in the global markets, I'm not sure I'd want a loan repayment pressure. The EMI will be around Rs.30,000 I think. InsideIIM guys had done some analysis earlier – http://insideiim.com/final-placements-class-of-20… I'd choose FMS purely for that reason. And its not like FMS has a bad brand you know! Heyy.. I'm a student at IIMI. & I would like to state that Loan-repayment at IIM's is not an issue at all. Bank will give u a provision of 13-14 lacs of loan, out of which u can later change the amount u want as a loan. For example, here in IIMI, ppl (generally) take loan for the 1st yr, & then pay the term-4,5,6 or 5,6 or 6 fees by themselves. So, u can even reduce the 13.5 lac loan to a more manageable 6.5 or 8 lacs(which is generally the case). -Delhi University advantage – Courses across colleges, various college events and fests and a 'chance' to interact with people of different colleges. -2 Semester in a year pattern, one can focus on academics and extracurricular equally thus building an overall personality and not just bookish learning. -Totally student controlled events like 'Convention' and 'Fiesta': Very good exposure to corporate challenges. -Strong alumni network which helps FMS to get Guest Lectures from prominent speakers – Last time Dr. Kiran Bedi interacted with the students. Except for L'oreal Brandstrom IIM Indore is invited for all competitions stated above. Ahvan, Mridang, Utshaha,Footprints give enough 'totally student controlled' opportunities with more than just corporate exposure. When it comes prominent speakers – Well.Ex-President of India Dr. APJ Abdul Kalam not only interacts with the students but takes a course at IIM Indore. Difficult to beat that isn't it? Chairman of ICICI Bank and Infosys Shri KV Kamath was the chief guest during the convocation in March. Some colleges don't even have a concept of convocation. Apart from that prominent personalities like Narayan Murthy, Dalai Lama, Sam Pitroda, Jyotiraditya Scindia, Gurcharan Das etc. (list is long and impressive) have interacted with students in last 3 years. One of the biggest B school competitons – P&G Dream Team. Only 4 IIMs are invited to it. No Indore or Kozhikode, leave alone the new ones. So you can understand what the industry ppl r looking for. If you think that just the IIM brand name is enough, then P&G's competiton might prove you wrong. There are a few other events too which invite only a few top olleges which doesn't include all the IIMs. FMS any day any time……Great ROI, Top 5 league, Brand IIM primarily belongs to IIM A, B, C & L(to some extent)…..The remaining two are debatable to an extent……Anyday, FMS Delhi / SP Jain / XLRI scroe over IIM I & K……Period!!!!! Just because Mr.Brendan says 'period' nothing is proved. There is no such thing as a top 5 league. Hehehe…Good try though. If ever there is a top 5 league FMS will be a long way away from it. IIM ABCL and ISB Hyd will take those places easily. Could someone elaborate on what roles exactly are given by insurance companies such as Aviva and Max New York Life listed here? Do you mean the same ISB which is active only in consulting domain and proves to be an epic failure otherwise ?…sure that does look like trait of "TOP 5" ,if anything i would rather have XLRI there for an all round nature of their placements.Moreover,FMS negates these weak points by terrific ROI and ISB fails on that too ! May I know what profile was offered by Deutsche Bank (CIB). Is equity research in IBD counted as middle office? DB (CIB) offers middle office roles at all campuses including ABC. They pay around 14 LPA (fixed) + around 10LPA variable (performance dependent). Only the foreign desks of DB offer front end roles that too only at ABC. As a FMS alum I can tell you for sure that all foreign banks mentioned above are only PPOs. No one came for Finals this year. Goldman Sachs visited but walked out after getting to know that placement committee had lied to them. Ask anyone from FMS, they'll tell you this. Its not all rosy. StanChart was pretty much a regular at FMS. But this time around, they seem to be missing.. While comparing reports of FMS and IIM Lucknow, i noticed an interesting thing. While there is not much of a difference between the repute of companies reported, FMS report contains almost all of the 96 companies that recruited. For IIM Lucknow, its less than half of the total. Though I understand that its not possible to mention all 200+ companies, but i would not be wrong to assume that the best companies have been mentioned. Interpretation is up to individuals..
Again, that is the difference between Elite institutes & others. Students( from Elite Institutes) know how to interpret the figures correctly. 389 students in IIM Lucknow, got 213 companies offering 446 offers along with 70 confirmed PPOs & 149 Lateral Offers. So Do the simple maths now & see where students have got the best offers choice. At-least in IIM Lucknow , students have an option to select the offer unlike others who boast. FMS==>96 companies, Are you kidding by saying best of the companies mentioned?? 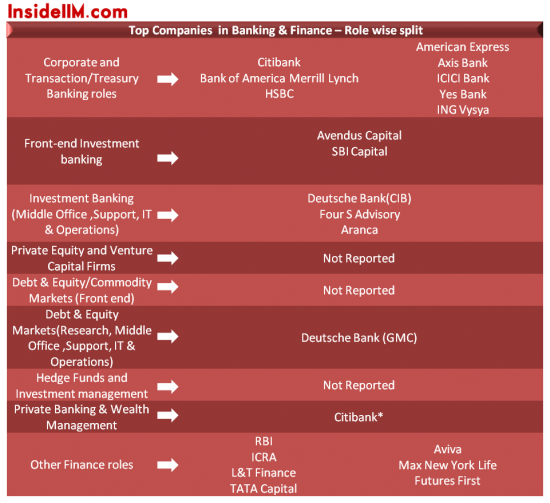 No much difference in repute of companies reported?? Finance & Consulting companies ( Did any of them visited campus this year for new offers?? International Offers any?? Visit Pagalguy threads and you'l find a bunch of people(converts) choosing FMS over IIM L. IIM K and IIM I are not even in the reckoning in being compared to FMS. In fact 3 people have left IIM C and one has left IIM A this year for FMS. How many from from from general program??? FMS over IIMA and IIMC, really? Can't control my laughter! why is it funny ? Fees of IIM A,C are 15-16 lacs , while dt of FMS is just 20k !! 20k fr 2 years !! also the placements are right there at the top just a notch below of IIM A,B,C. Also the placements of the lower half in IIM A,B,C are similar to that of the upper half in FMS. And there are few people who analyse there priorities while choosing a B schooling rather than blindly following the herd ! also since this article is about placements , i would say that probability of getting a good placement in non IIMs like FMS, XLRI ,JBIMS is higher than that of IIMs like I,K .. also these institutes are recession proof due to smaller batch sizes and hav better alumni network than I,K. @Abhigyan, its a fact my friend. So you can laugh if you please. @Rahul, ABC have 400+ students. FMS and XL have 200od. So placement for upper half of IIM ABC = Upper half of FMS is not accurate. Its only the top 10% at ABC(40 people) who get jobs which other campuses dont(Top 2-3 consults and top 2-3 banks). The next 25% at ABC(100 people) will get what the top 30%(60 people) at FMS and XL get. The next 30% at ABC(125 people) get what the next 40%(80 people) at FMS and XL get. The next 25% at ABC(100 people) get what the last 30%(60 people) at FMS and XL get. 6 lacs at ABC is unbeleivable and impossible dude , good joke ! evn colleges like wellingkar get an avg 7-8 lacs package , lowest at ABC can be at the most 10 lacs , nt lower than dat ! Looks like a random media statement from IIMC then… How did they know about other B-Schools' lowest package? All placecom's share the data..Especially ABC.Data means an outlined version of it.Not the things like which hedge fund visited when and all.. So obviously they wont share who offered the highest/lowest package either… Also it's easier to find which hedge/soverign/PE fund visited a campus than who offered how much..
@Rajesh, rahul: Data for 2011 is as follows: Find the figures for lowest salary. Its 7.5 at C and 7 at A.
I had posted the links here but the mods have removed them. Find the placement reports of IIM A and IIM C for 2011 on Pagalguy, or just google it. IIM A lowest salary 7 lakhs, IIM C lowest salary 7.5 lakhs. Boss, tell me the lowest salary at XLRI and FMS? Why is it that FMS and XL are so defensive and insecure that they start comparing themselves with IIM ABC. Guys, please, ABC is a completely different league. FMS and XL must be comared with their cluster which includes IIMIKL, SPJain etc.